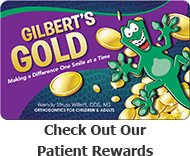 Serving Pearland, Alvin, and The Greater Houston Area, TX (Texas) - Dr. Wendy Willett is your orthodontic specialist, offering Invisalign® and braces for children, teens, and adults. Dr. Wendy Willett and her friendly staff can give you a beautiful smile you can be proud of. We are dedicated to providing only the highest quality of orthodontic care in a caring, fun, and patient-focused environment. The field of orthodontics is constantly changing, and new treatment technologies allow us to give patients bright smiles with less discomfort and in a shorter amount of time. Our patients can take advantage of traditional braces, as well as Invisalign removable aligners. Each treatment plan is customized to meet the unique needs of each individual patient, resulting in beautiful smiles that exceed expectations. Contact our office to schedule your complimentary orthodontic consultation. We look forward to meeting you and your family, and helping you achieve a healthy smile for life!